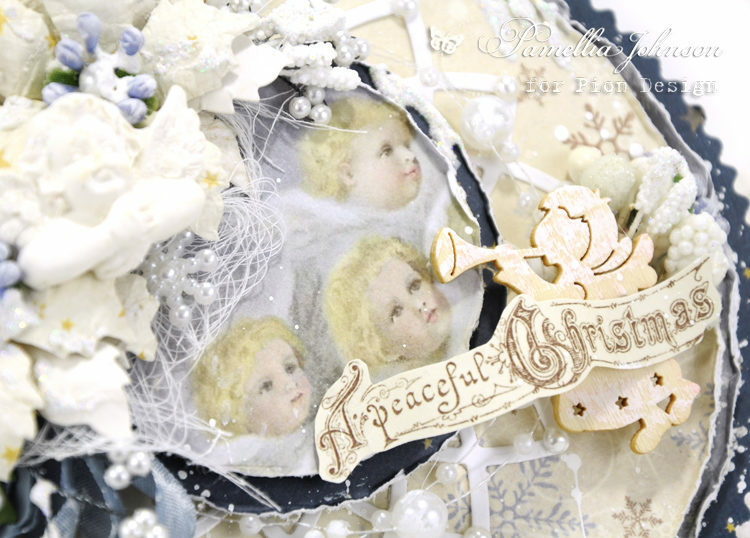 Today I am sharing an ornament shaped holiday card featuring the papers from this year’s Christmas collection “Long Ago in Bethlehem” and last year’s collection “Greetings From the North Pole”. I just adore the soft angel images, so magical! 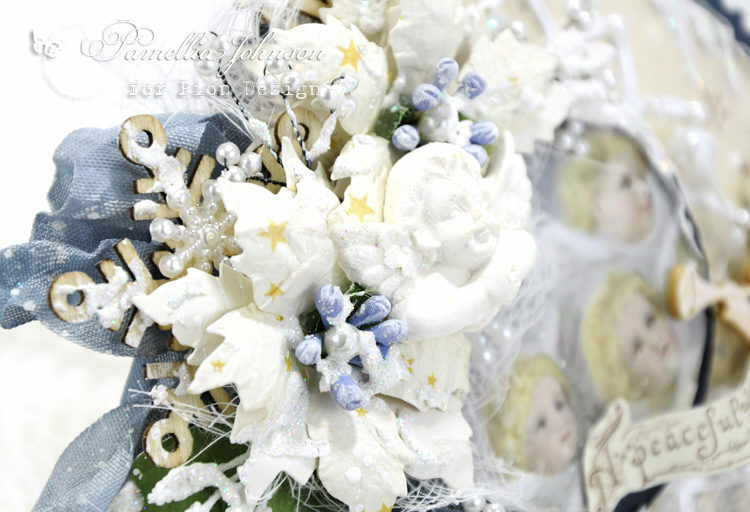 Absolutely charming – what a lovely piece of festive decor.